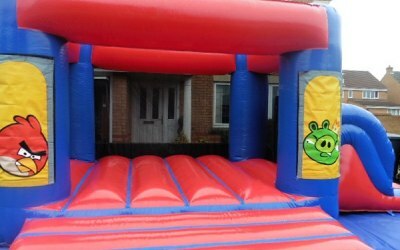 Catherine’s Castles offers bouncy castle hire in Torbay, Newton Abbot, Exeter and Teignmouth. 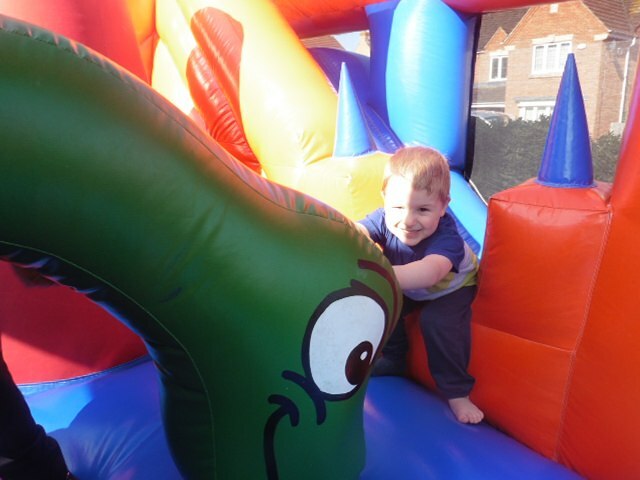 We provide both adult and children’s bouncy castles, obstacle courses and activity centres for all age groups. Suitable for weddings, Village halls and gardens. We are a family run business with 14 years experience. We never let anyone down and take last minute bookings from customers who have been let down by other companies. 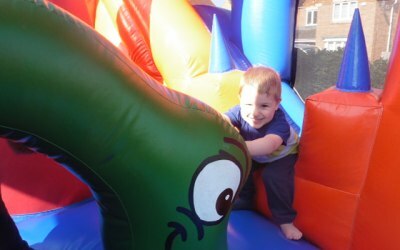 We have both large inflatables for weddings and corporate events and small inflatables to fit into the smallest of back gardens. 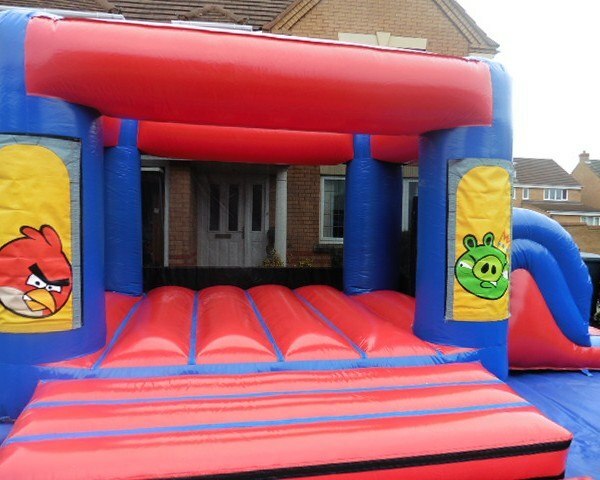 All our inflatables are RPI tested each year to ensure they meet current safety standards and are supplied with crash mats and are securely anchored down with either pegs or sandbags on a ground sheet. 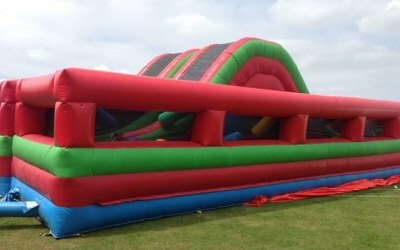 We are fully covered with £5 Million Public Liability Insurance and a member of the Bouncy Castle Hirers Association. 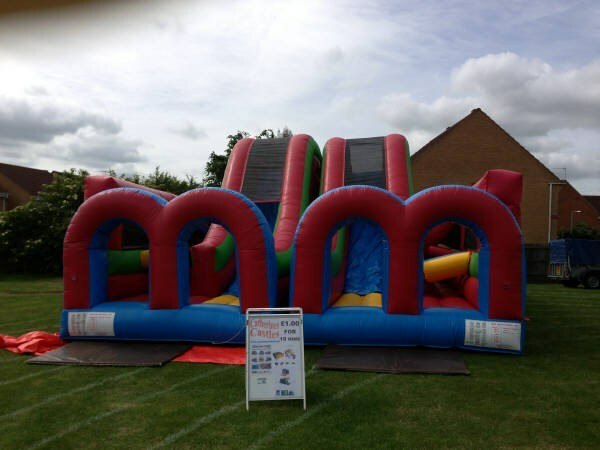 We will not only offer you the choice of castle/slide you want but you can also specify times for delivery and collection and we will set it up and pack it away for you. 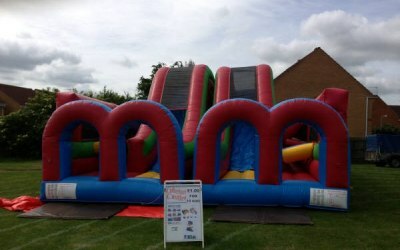 If you would like to see any of our inflatables then you are welcome to come to one of our Bouncy castle Fun Days and try them out before you book. Thank you for your kind words Suzy, it was a pleasure to meet you all. 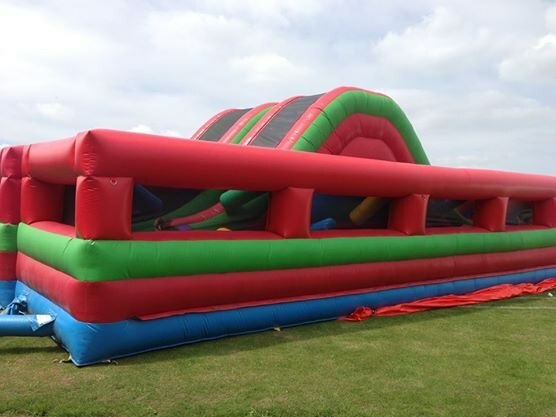 The twin lane obstacle course is great for weddings\Hen partys\events where adults or teenagers can race each other through the biff n bash obstacles and down that 10ft slide. 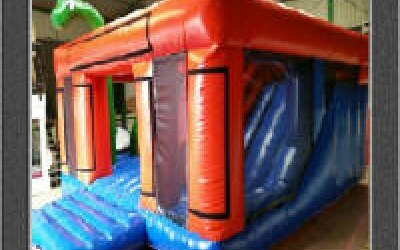 If anyone has a event in the Exeter\Honiton\Axminster area please call us to quote\book and get yourself a good deal on a large inflatable. 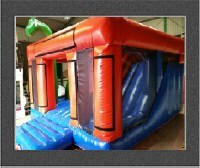 Get quotes from Catherines Castles and others within hours.